Guest speaker Colin Martin presents the importance of communication and networking with their implications in the free enterprise system. Martin even offered his own information for students to begin their network. The Starr’s Mill Interact Club welcomed Colin Martin to their meeting this month. 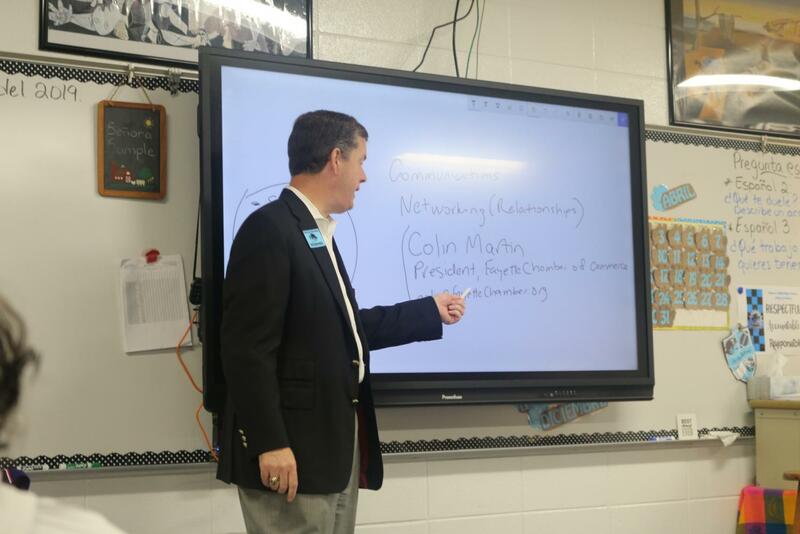 Martin, the president and chief executive officer of the Fayette County Chamber of Commerce, came to the meeting to teach the students about the free enterprise system and the importance of communication and networking. Martin described the details behind utilizing relationships and building networking to work toward success in the future. The lesson was focused on students getting ahead and beginning their networking careers, so that they may profit off the rewards later. Martin even networked himself and his own information as a starting point, helping students have a reference in case he may be able to assist in the future. “The most successful people make the strongest networks,” Martin said. Students were taught about the four kinds of people in a network: suspects, prospects, solids, and resources. These people may be utilized in one’s network to further advance connections and to work toward success. 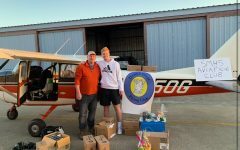 Martin spends his day building new connections and working with his existing network to take on his assignments. “If you work on building this network, starting today, and build it for the rest of your life, you will be more successful than your peers who don’t,” Martin said. The goal of Martin’s presentation was to give students a starting point with their connections. Students working on their connections and building their network early in their lives will have a head start in the world beyond school. 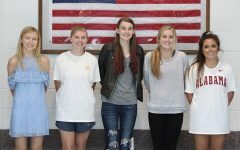 This month’s lesson concluded the Interact Club meetings for the rest of the school year. The group will host more special guests next fall in Marcela Sample’s room 643.